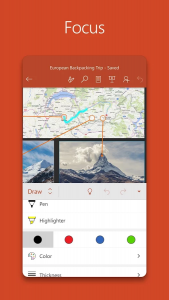 Intro: Microsoft PowerPoint has the familiar look and quality of Microsoft Office when you use it on your Android phones and tablets. 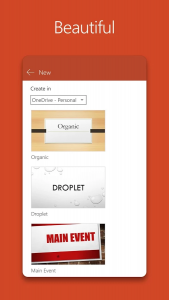 Create new presentations and view and edit presentations already stored in your device. 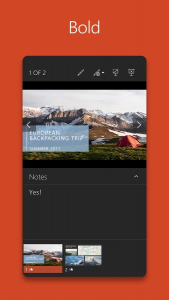 Work with confidence knowing that PowerPoint app will automatically save your changes in cloud and you won’t lose any formatting or data when you move across devices. Your presentations are always available on all your devices with cloud technology.